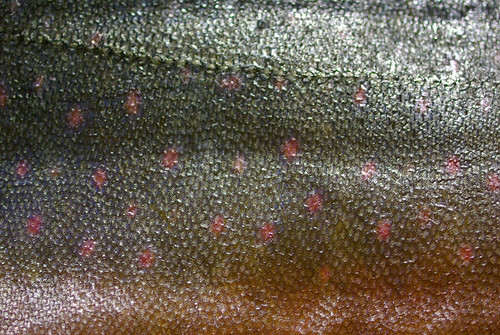 The fish guy at the supermarket had arctic char (one of our very favorite fishes) a couple of weeks ago, but we had other plans for dinner that night. I asked him if he thought it would keep until Friday if I bought some that day, and he gave me a firm “nope.” Sigh. But char doesn’t come around every day. Feeling uncharacteristically optimistic, I bought a filet anyway and stuck it directly into the freezer when I got home. The following week, I thawed it out and improvised a meal to go with it. And it worked, hurrah! The char behaved perfectly, I’m happy to say, just panfried with a knob of butter and drizzled with a bit of pesto from the freezer. 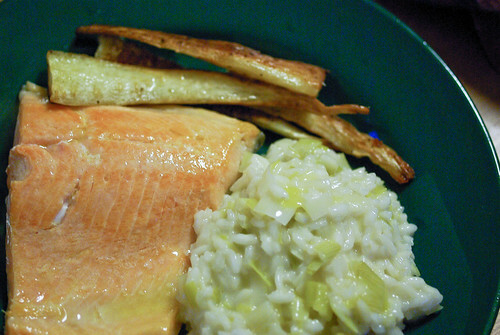 Then I made a very simple risotto with lots of fresh leeks, which I expected to be the star of the evening. It was, in fact, extremely nice, but then I hadn’t thought to be so taken by the roasted parsnips. I don’t normally buy parsnips, since Jon doesn’t care for them much, but I had just read the Parsnips for Epiphany recipe in Platter of Figs, and then I saw the most gorgeous, huge pile of parsnips at Haggen. It seemed fated, and I bought a few roots. I cooked them as David Tanis recommends, cut into long quarters, cored and tossed with plenty of olive oil and salt, then roasted a good long time. The result was astounding: the parsnips were ethereally crisp on the outside, especially the tips, but the innards were buttery and sweet. Jon willingly ate a couple, but I inhaled the rest of the pan all by myself. 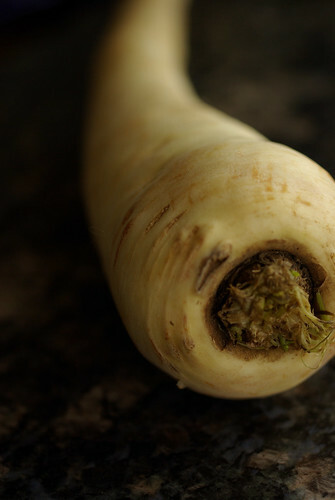 It almost makes me sad that parsnip season is nearly over. Almost.